It’s been a particularly strange week for Apple news, as despite having what could arguably be the biggest range of new products launching over the course of the past three days, it’s felt weirdly subdued. There’s been no fanfare, and even with the return of legacy brands such as the iPad Mini and iPad Air, there have been no huge hardware advancements that really make these new releases stand out from the standard press release that constitutes their grand announcement. That being said, a new product a day is rather neat, and today Apple has announced the second-generation AirPods, which are set to be as big a meme commercial success as their predecessors. 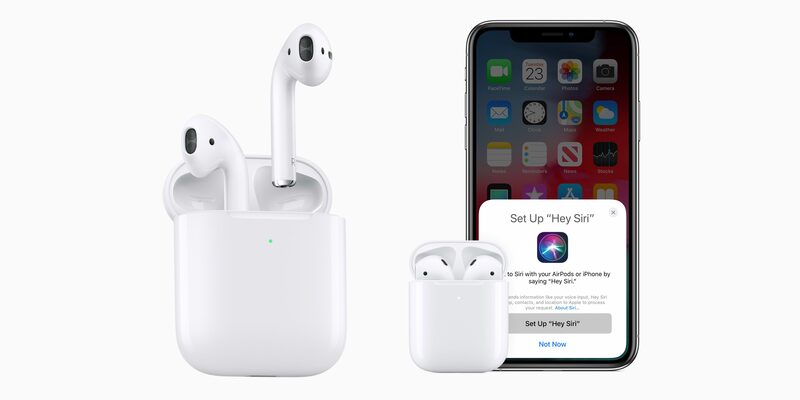 While still only available in that iconic white color, the second-generation AirPods feature a brand new H1 chip, enhanced connectivity, hands-free Siri recognition and a cool wireless charging case, all for a hefty $199. New Apple hardware is great and all, but what does this have to do with TouchArcade, the bastion of iOS mobile gaming? It turns out that one of the few improvements of the second-generation AirPods is a decrease in latency, with Apple citing a decrease of 30% when playing iOS games. However, according to the product page, this was determined through a test of popular arcade titles Tomb of the Mask (Free) and Doodle Jump ($0.99). I’d have thought that a rhythm game would have been more appropriate to test for latency, but either way it’s pretty cool to know which iOS titles Apple is using in their development of new devices. From my own personal experience, I noticed virtually no latency whilst using AirPods – at least, none which had a detrimental impact on my ability to play a game – so I’d be confident in recommending either generation for anyone wanting a pair of wireless headphones. As one of those infuriating hipsters who had AirPods before they were cool, I really can’t underline how amazing they are to use day-to-day. For once, they do just work, and really made me forget about the headphone jack until the day I lost them in the only blizzard we’ve had in England for about ten years. Anyway, with AirPods releasing today, what will Thursday and Friday hold? Here’s hoping something to do with gaming shows up – with Google’s latest foray into the space, I could really do with Apple putting some renewed emphasis on the App Store. That will likely just be in the form of a new iPod Touch, but that’s something, right?